In an age when online presence is dominated by paid advertising and brands who force their messages in front of anyone they possibly can, it’s time to rethink strategies. When you’re meeting people in person and they get to know your brand on a human level, the impact is far more meaningful. But first, you must encourage those to come and talk to you at these crowded events and conferences. 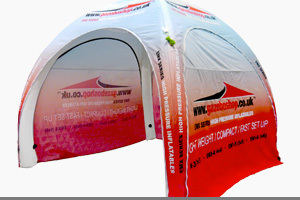 That’s where a personalised branded gazebo ensures your business stands out from the crowd. 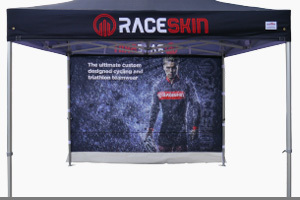 Every printed panel you see in each printed gazebo package comes with unlimited printing in any colour. 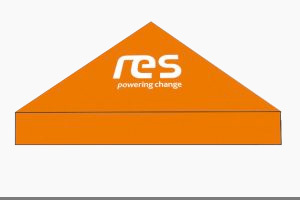 We are able to print full-size photos and match pantones so you can be sure that your branded gazebo will be completely bespoke and individual. Please refer to our artwork guidelines for more information. Branded gazebos are essential when businesses are doing everything they can to encourage the public to speak to them at packed out conferences and events. Your gazebo’s design should have enough creative intrigue woven throughout it’s design to entice even the most reluctant of passerby. We ensure your business is represented to a premium standard with intricately designed gazebo artwork. 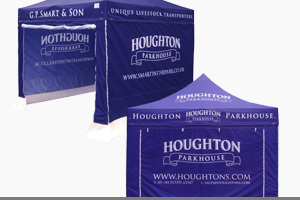 We have a range of gazebos you can place your designs on, with a few below. Be sure to view our artwork templates to see what’s possible with your bespoke gazebo design. Pop in some details here about what your business is looking for in a personalised gazebo. Our team of creatives will then mockup a design and try to get back to you within 2 working days with your free printed gazebo visual. It’s as simple as that! Please outline your requirements in terms of size, colour, quantity and design in the box below. You'll receive an email from us no more than once a month. We understand that this printed gazebo may be your first, or perhaps you could do with some new equipment as yours has seen better days, that’s why we offer printed gazebo packages. These complete bits of kit come with everything you will need to set up your personalised gazebo in one handy package. 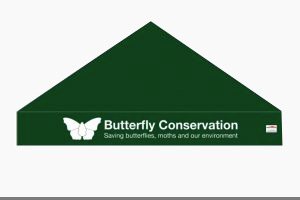 We offer banners, flags and table covers all produced with maximum brand exposure in mind. Make your next event a simple success, take one of our printed gazebo packages along with you, set up and draw in the crowds. 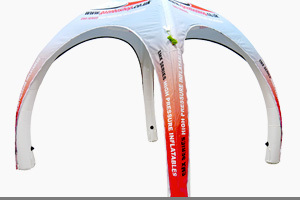 Printed inflatable gazebos are lightweight, personalised and professional. To ensure eye-catching designs printed on a state-of-the-art inflatable gazebo, try our innovative creative team here at Gazeboshop. 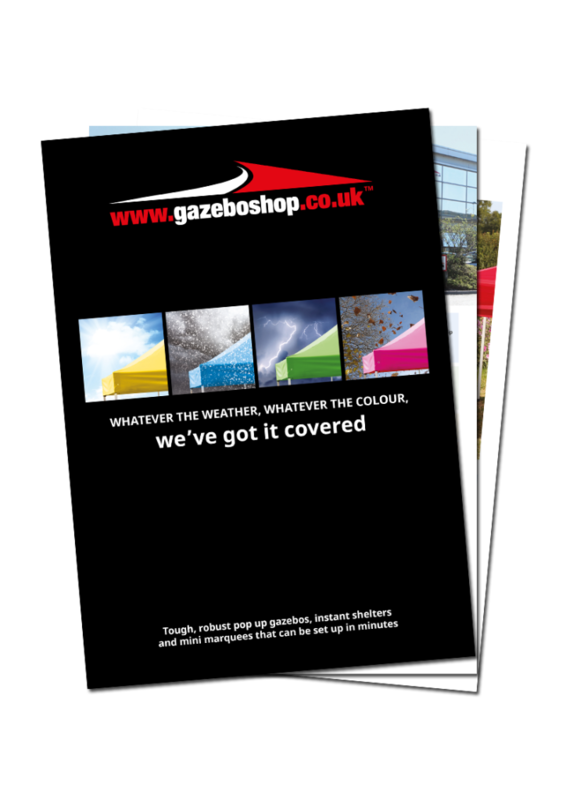 We understand the needs of a variety of industries and how a gazebo is not just a place for cover from the rain, it’s a billboard for your business, a giant advert designed to make people look. All of our gazebos are customisable! Whether it’s a splash of colour, a rebrand or something completely wild, your business can stand out, be heard, and most importantly, engage the public. Call us on 01295 258 922 today! 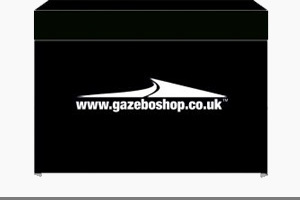 Every single one of our gazebos comes with a manufacturer’s warranty of up to three years (depending on frame choice). We hope you never need to use it but we know it’s good to have peace of mind if anything goes wrong. Please supply your logo and artwork in vector format, we accept the following files, .ai (Adobe Illustrator), .CDR (CoreiDRAW), .eps (Encapsulated PostScript) or PDF (as long as vector graphic is saved in PDF). For further information on our artwork requirements, including photography guidelines, check out our gazebo artwork guide. 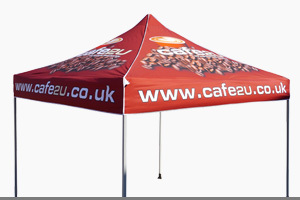 Why not add branded banners & flags or printed table covers to accompany your newly designed gazebo? Prices start from as little as £50.00 each (+ VAT) when ordered with one of our branded gazebos, so make sure you save today and order your banners and gazebo together. Don’t hesitate to get in touch with us to discuss all of your personalised gazebo needs. We are proud that our service is extremely efficient and our standard turnaround is 7-10 working days from confirmation of order/artwork. Delivery can take as little as 5 working days via our Priority Service. If you’re in a rush for an upcoming event, give us a call as we might just be able to help!